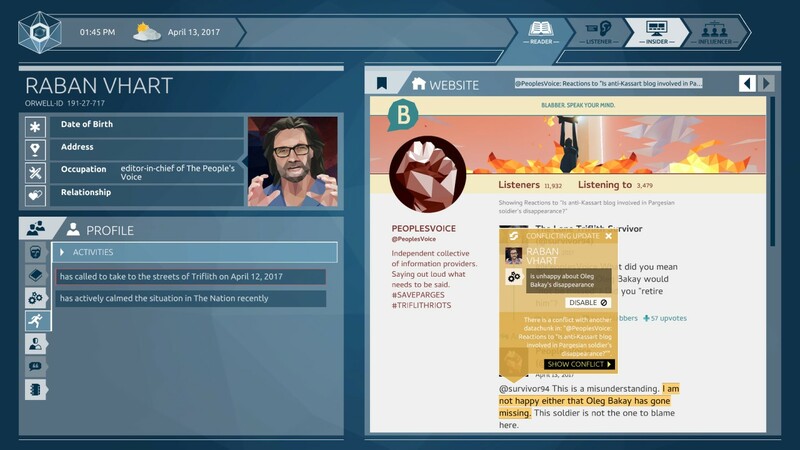 Inspired by the fundamental change happening in the way we consume information today – the rise of fake news, the social media echo chamber and the death of “truth” – the second season puts players in the shoes of a government official in a top-secret department of the Orwell program. A political crisis has arisen across borders, threatening to plunge The Nation and Parges into violent civil unrest. Given the power to both uncover and fabricate “the truth”, you must decide for yourself how far you will go in the service of your country and whether the truth is sacred or ignorance is strength. A single game released in three-parts in rapid succession between February 22nd and March 22nd, 2018. 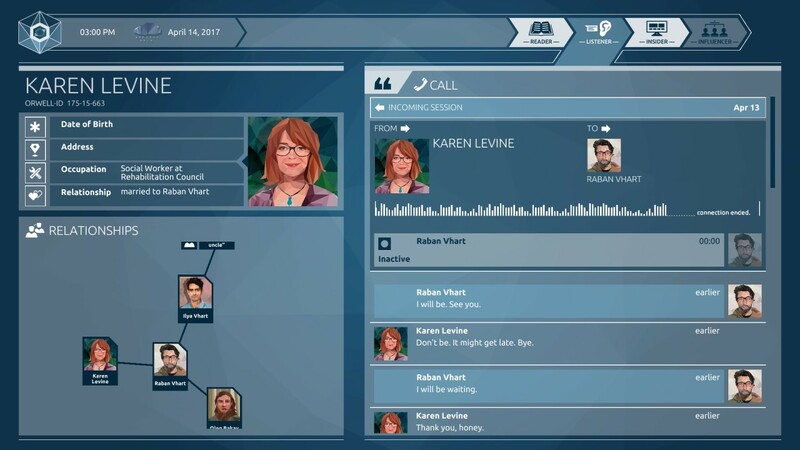 Truth is, the privacy invasion series returns with a short but thought-provoking sociopolitical thriller for our social media age. 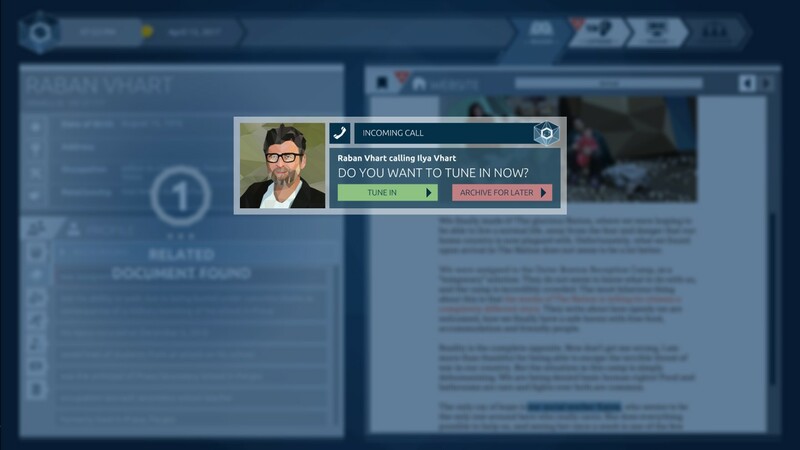 Launch of third installment completes current season of privacy invasion thriller. Episode Two: Antithesis available now, with series finale coming March 22nd. First of three parts of available on Win/Mac/Linux, with two more to follow March 8th and 22nd. Political database-driven thriller to launch in three parts Feb. 22nd, March 8th and 22nd. 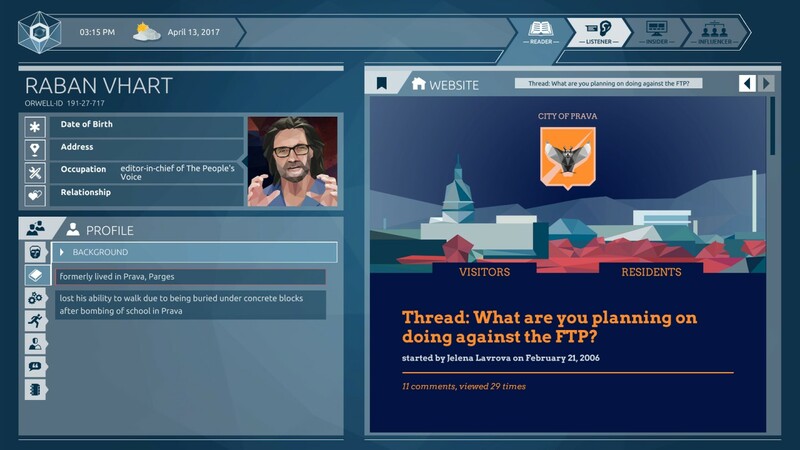 Trailer unveils follow-up to politically-charged privacy invasion thriller. 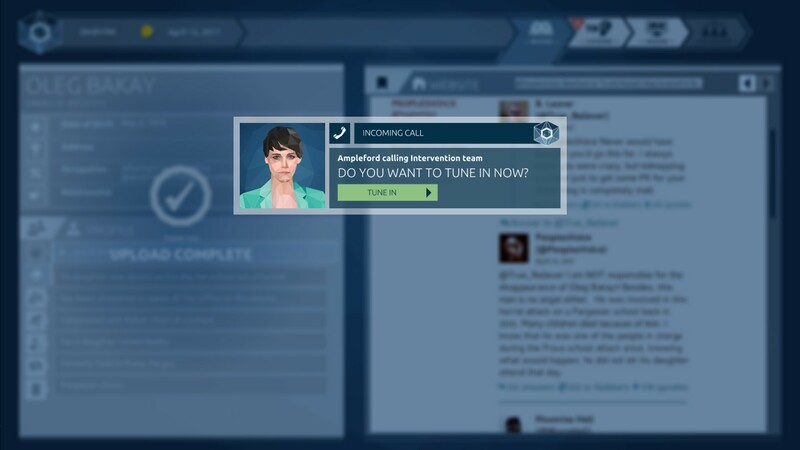 Stuck in Orwell: Ignorance Is Strength, or looking for the best way to proceed? 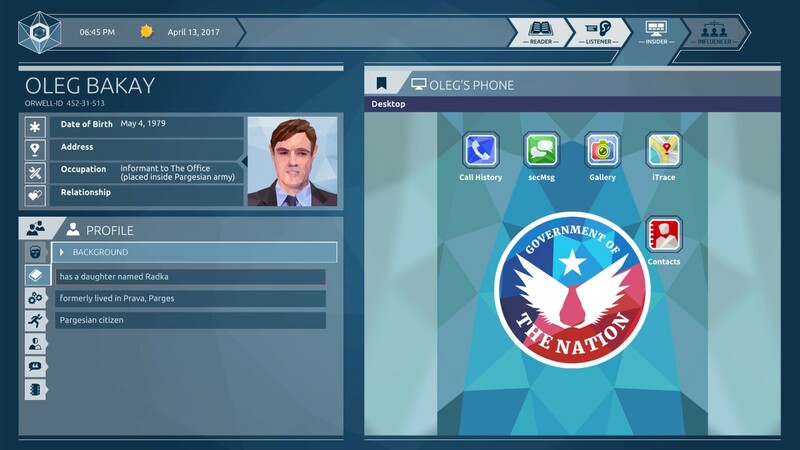 Click below to view our walkthrough for Orwell: Ignorance Is Strength and wonder no more! 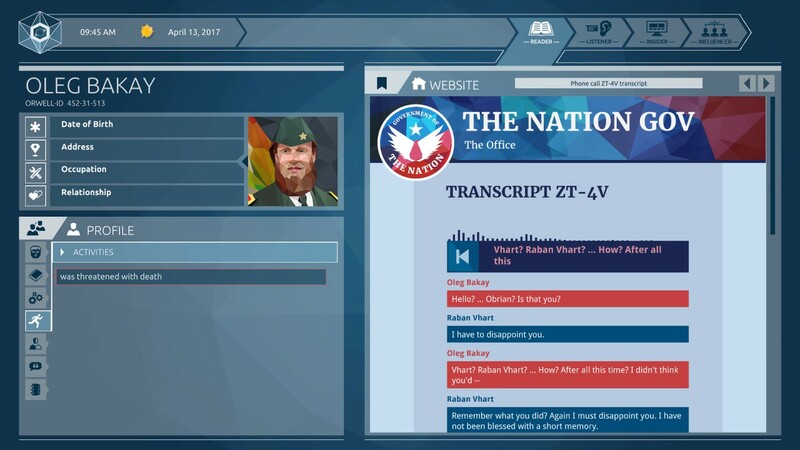 Orwell: Ignorance Is Strength is an adventure game, released in 2018 by Osmotic Studios. 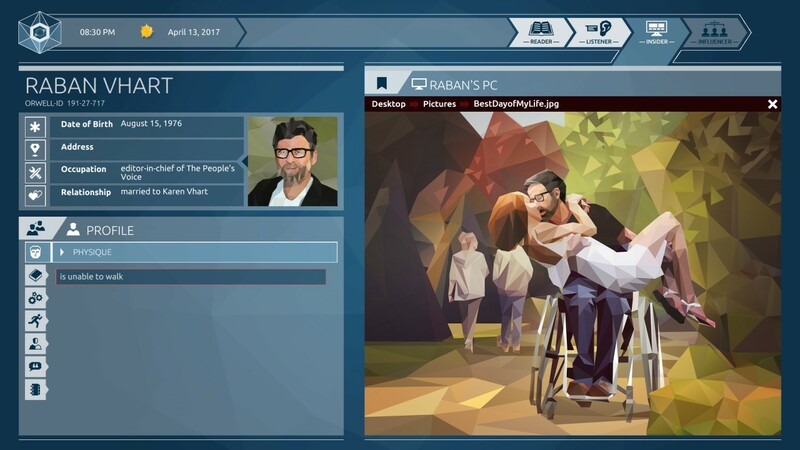 Orwell: Ignorance Is Strength has a Stylized art style and uses a Point-and-click control scheme. 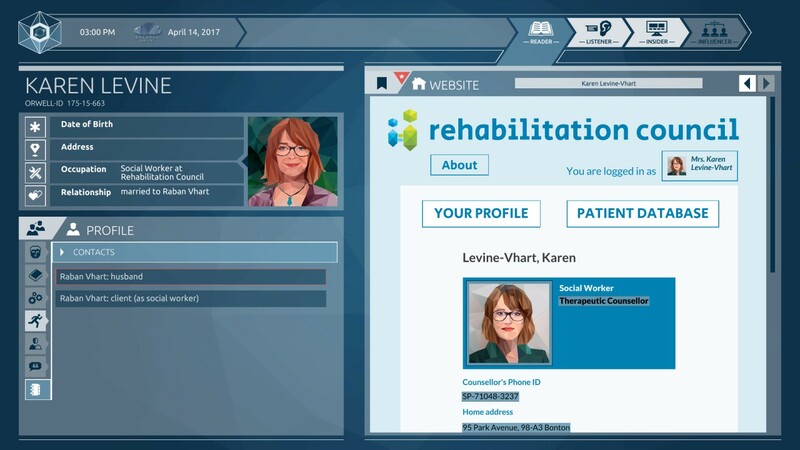 Adventure Gamers have published a review of Orwell: Ignorance Is Strength and rate it as Unrated, meanwhile the community rating for Orwell: Ignorance Is Strength is Very good.